SPLINTS ARE FOR MORE THAN JUST BROKEN BONES IN NEWARK AND MIDDLETOWN DE…. Dental or Orthodontic Splints are devices that are used when patients suffer from certain types of dental problems. These problems include TMJ or TemporoMandibular Joint disorder, common snoring, sleep apnea, and teeth grinding (bruxism). In orthodontics, a “splint” is designed to fit on top of the upper or lower teeth. Treatment varies based on each patient’s individualize needs and is most often used to stabilize the teeth and/or jaws to alleviate discomfort. A TMJ splint may be used prior to placement of braces to help alleviate discomfort if the problem is a result of a bad bite or be used during orthodontics to open the bite. 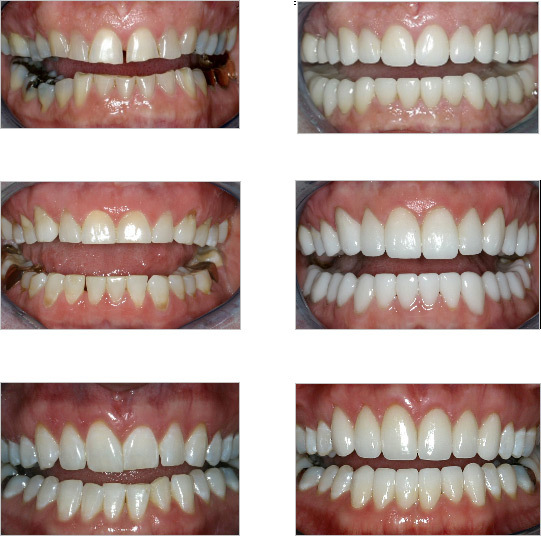 It is also used upon completion of orthodontic treatment if a patient is neurologically prone to grinding. In this scenario, the splint may also act as a retainer. 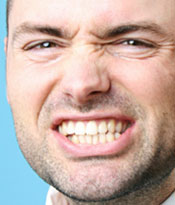 Bruxism is a medical condition and can afflict both children and adults as well. With bruxism, the patient either clenches or grinds their teeth, consciously or subconsciously, and many times even while sleeping. Obviously this can create many different dental problems such as wearing enamel, fracturing of teeth, and clicking of the TMJ joint. This can result in expensive dental care such as veneers, crowns, root canals, or extraction of teeth in worse case scenarios performed by your general dentist. If the underlying problem is not diagnosed and corrected prior to dental restoration, your investment may be in jeopardy and fail to address pain and discomfort moving forward. Chronic grinding or clenching of the jaw due to a deep bite, crossbite, edge to edge bite, or other jaw discrepancies can create pain in not only the jaw but also in the facial area, ears, and neck due to the constant stress on the TMJ joint and surrounding muscles. Other symptoms are clicking or locking of the jaw joint, headaches, and ringing in the ears. Did you know chronic gum chewing has also been known to cause TMJ symptoms because of constant wear and tear to the joint due to over activity? Resolving the problem may be a simple as eliminating gum chewing or as complicated as requiring orthodontic treatment in conjunction with your general dentist to restore teeth after treatment is completed. Consulting an orthodontist who is a specialist trained in the development of both teeth and jaws is your first step when diagnosing and developing a treatment plan that suites your individualized needs. If you think that you suffer from any of these symptoms, contact Honig Orthodontics for a complimentary consultation. We are here to walk you through your first steps towards addressing the problem at hand.